Two decades have passed since the long history of SMiRT was initiated in 1971 when the First Conference on Structural Mechanics in Reactor Technology (SMiRT-1) was held in Berlin. This summer we will have the SMiRT-11 in Tokyo, the first occasion in Asia. Dr. Thomas A. Jaeger (allow me to call him Tom hereafter with my hearty friendship. ), the founder of SMiRT, told me once that SMiRT would certainly be held in Tokyo someday and he would like to visit Japan to attend the conference. SMiRT in Japan has been postponed due to various reasons. Howerver, our longstanding wish is going to come true finally this summer. To my deep regret it is more than a decade since Tom passed away. Taking this opportunity, I would like to tell you how I have associated with Tom, showing several photographs from my album for his memories. In early 1960’s, Tom was working in the field of Radiation Shielding. Tom asked Dr. I. Kataoka of the Japan Ship Research Institute, to introduce him to a collaborator for his plan of publishing a journal on nuclear structure in the near future, and Dr. Kantaoka recommended me to him. Needless to say, I accepted his offer with pleasure. This was a godsend chance for an everlasting friendship between Tom and I. In 1964 I visited Europe. According to my record, I left Tokyo on June 26 and visited the US nuclear ship, Savannah, which had just arrived in Hamburg port after its first long cruise, on the next day. I met Tom for the first time on June 28 when he visited me at the hotel in Düusseldolf. He asked me to work as a Section Editor, and I accepted. I also promised to write a paper for the first issue. I submitted a paper on the fabrication of the GCR pressure vesel under co-authorship with Mr. T. Takaichi of Fuji Denki Company, since I was advising at the time on the pressure vessel welding at Tokai Nuclear Power Station (GCR), the first Japanese commercial reactor imported from the U.K. The journal soon changed its title to the “Nuclear Engineering and Design (NED)”, and it has been issued successively until today as one of the journals of the highest level in the field of nuclear structure consist mostly of theoretical contributions. On the evening of June 28, 1965, I had a very pleasant time having dinner with Dr. and Madam Jaeger, and on the next day Tom took me to Jülich to visit nuclear institute. Furthermore after the visit I was invited to their home and enjoyed their heartfelt hospitality. I am deeply grateful to them and have treasured this memory to this day. After the two days in Dusseldorf, I had to leave for Prague to attend the annual assembly of the International Institute of Welding (IIW). The short stay during the busy schedule was very valuable to me, and the acquaintance with Tom marked a start of the very significant work. In 1971, Tom founded SMiRT, and played a leading role as the General Chairman of SMiRT-1, held in Berlin Congress Hall in Sepember. Tom and I did not have an opportunity of talking over the matter face to face beforehand, because of the distance between Europe and Japan. However, Tom wrote me a letter disclosing his conceptual plan for SMiRT and I replied that I agreed with his idea completely. The Atomic Energy Society of Japan, to which I belong, was one of the co-sponsors in SMiRT-1. The contribution by our society, however, was not more than calling for as many participants as possible. But during two decades, the number of participants and papers from Japan has shown considerable increase. 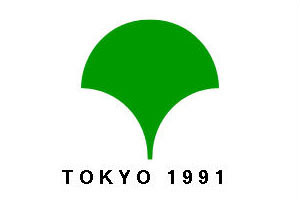 And it is my great pleasure that the Atomic Energy Society of Japan assumes the role of sponsoring SMiRT-11 in 1991. Recollecting Tom’s contribution reminds me of his foresight. His conceptual plan for the foundation of NED and SMiRT covered a wide range of structural mechanics in reactor technology, and involved a global scope including Asia as well as Europe and the U.S. from the outset. I believe the growth and the prosperity of SMiRT today greatly owe to this foresighted view. Let us exert all of our efforts for the further development of SMiRT with Tom’s founding spirit in our mind.